Everything stays open as usual, even late on New Year’s Eve the shops are packed. Taking in a mid-morning coffee in the delightful Opera coffee shop felt very civilised on Christmas morning. Coffee Academics is a local chain where we enjoyed a lunch too and Pacific Coffee is the big chain where every coffee was a delight. Local coffee shops to try; Fuel, Brew Note, Winstons, 16 Grammes (in a food court), Hazel & Hershey, Why 50, Kubrick (book shop), Reaction and Knock Box. Avoid the main tourist attractions (unless you get there very early). I’d avoid Victoria Peak on NYE as people start getting up there to jostle for the position from mid-afternoon. For sure, it’s a must-see another evening though. Pick a hotel for the view on New Year's Eve. I’m not an NYE person and usually find myself asleep whichever country I’m in or on a plane, also asleep. But it seemed prudent to stay an extra day or two after the Christmas celebrations to see the brightest city in the world, lit up even more by fireworks. Go mall hopping. All the centres compete to deliver us the best festive spectacle and they are a sight to behold. Go hotel hopping. Take a drink, a coffee or just let the doorman open the door for you so you can wonder at their undoubtedly huge Christmas tree and matching decorations. I loved seeing Kerry Hotel for the first time and the Harbour Grand and Mandarin Oriental are worth the peak through the splendid doors. Save your Christmas shopping till you get there. There are mega shopping centres everywhere and there is a special place saved on my maps for Langham as it was my first. 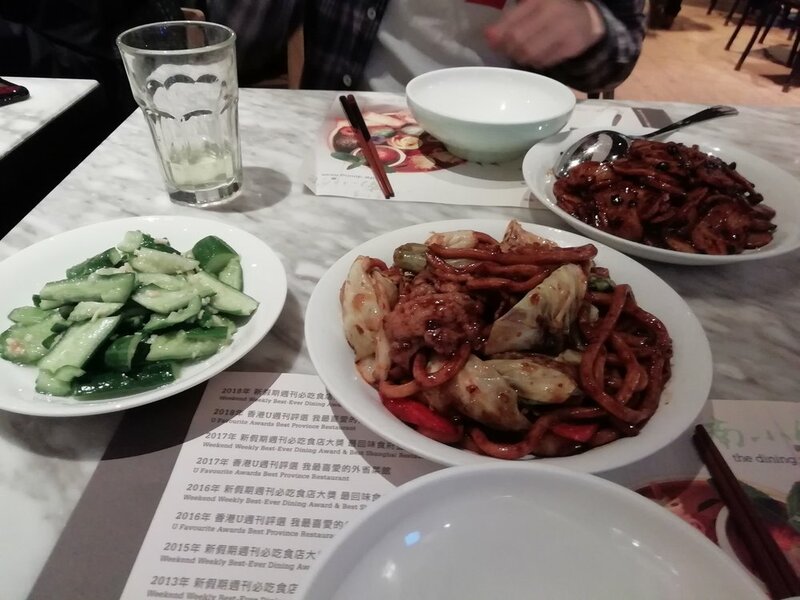 It has good food options and it’s on the radiant Nathan Road that leads to the spirited Mong Kok neighbourhood.